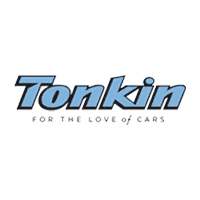 Tonkin CJDRF wants to Buy Your Car! Take advantage of current market conditions & get more for your vehicle. No hassles. No gimmicks. 100% risk free. Our Tonkin Buyers will provide you with a real vehicle purchase offer in no time! We have access to the best vehicle valuation tools in the industry and this allows us to offer you more for your vehicle. By submitting this form you agree to be contacted by a Ron Tonkin Chrysler Jeep Dodge Ram FIAT staff member.